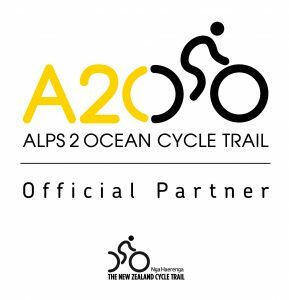 The most popular, well priced comprehensive package on offer…… and hands down the best way to experience the Alps 2 Ocean trail! When you travel along the Alps 2 Ocean trail you get to experience a wide variety of scenery packed into a few days. It’s important to us that you get opportunities to experience all of the trail highlights therefore this tried and tested package (with hundreds of happy customers over many years now) has been put together / tweaked and adjusted again and again to ensure this requirement is met. You’ll have time to explore Mt Cook Village with it’s wonderful short walks, The Sir Edmond Hillary Centre and the DOC information Center and The Tasman Glacier lake all nearby. 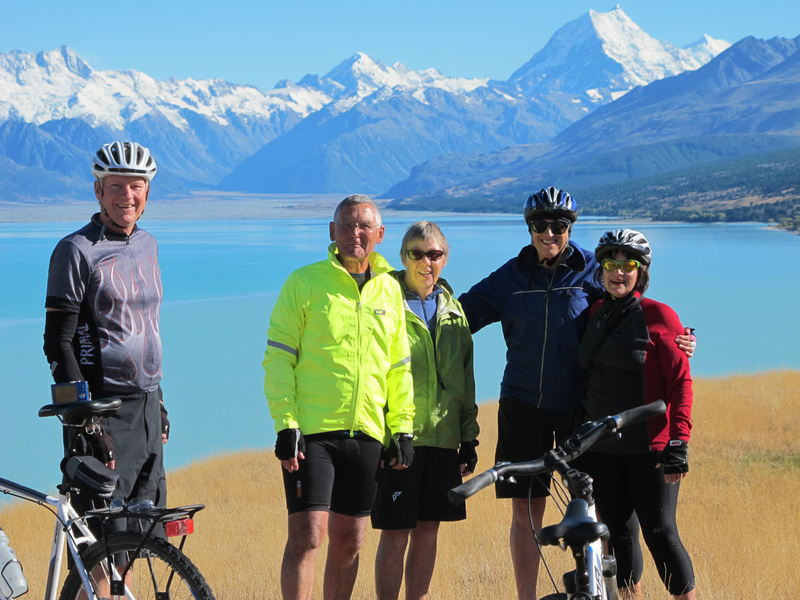 Enjoy a sumptuous breakfast at The Hermitage Hotel to kick things off, your cycle trek starts from near THE BASE of Aoraki Mt Cook – the jewel of the Southern Alps. After a short 6.5km leg warmer to Mt Cook airfield you’ll enjoy a short but exhilarating helicopter ride over the Tasman River. From there you will ride alongside Lake Pukaki with its distinctive tourquise – blue colour (due to ‘glacier flour’) then ride through the expansive Mackenzie basin shaped by glaciers thousands of years ago. 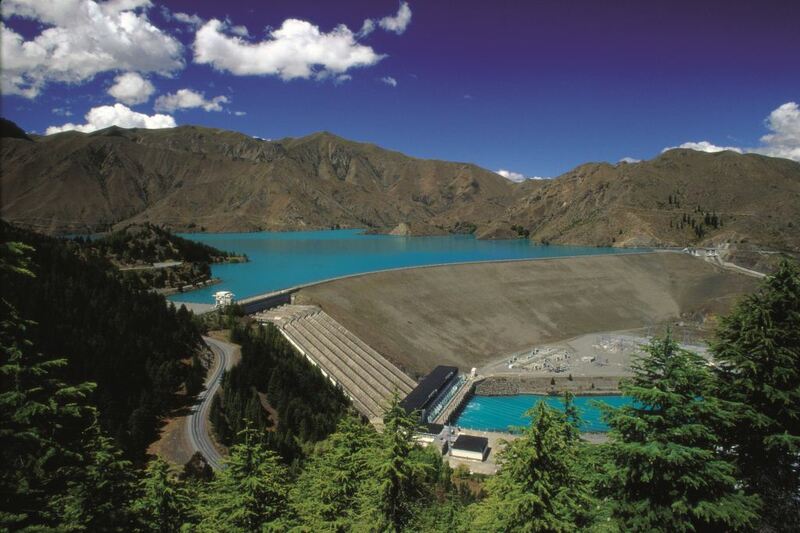 The trail then enters the Waitaki Valley where you will wind your way around and over Lakes Benmore, Aviemore and Waitaki which were formed by the Waitaki Hydroelectric Scheme. As the Waitaki River emerges below the Waitaki Dam you will follow it through budding wine country, the trail winding alongside the river in some parts. At the cute little town of Duntroon you head inland through ancient fossil sites and the limestone formations of Elephant Rocks. 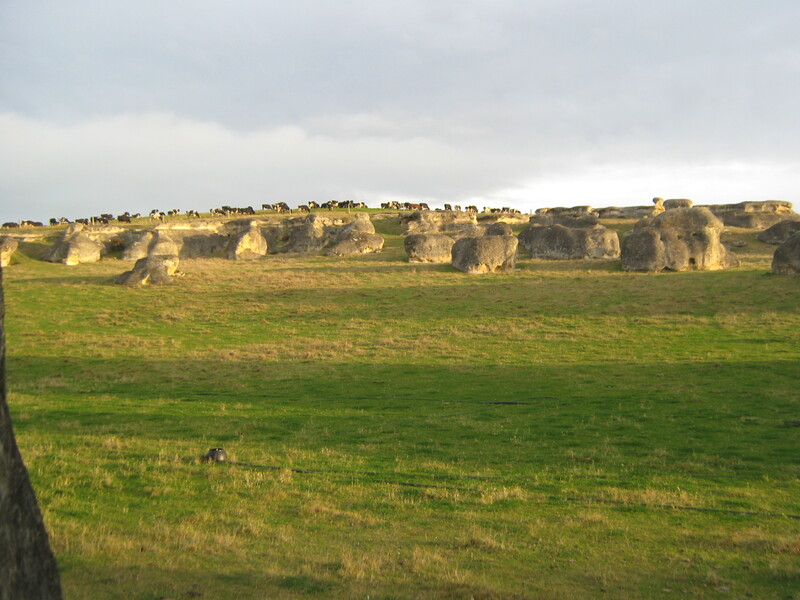 Be amazed by the pasture and shear scale of the Waitaki farmland before hitting the coast at the seaside town of Oamaru. Experience 8 nights on the trail in a wonderful array of excellent accommodation with everything from your airport pickup, cycle hire, luggage shuttles, meals in many locations and friendly knowledgeable support all the way! Please view our pre arranged tour dates on our book now page and inquire for the latest pricing. Take in 4 days on the trail exploring the stunning Waitaki region. You’ll stay in amazing accommodation along the way. 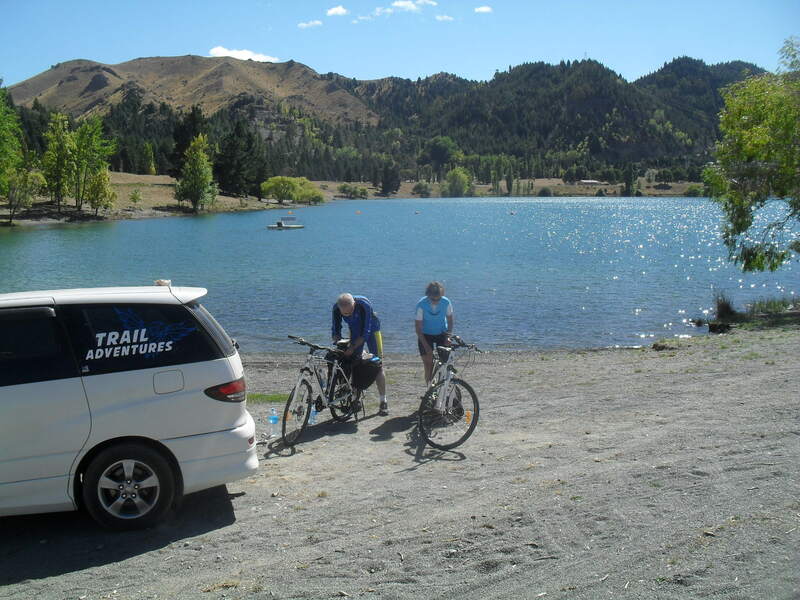 Transport to Omarama to start or finish your trip, cycle hire, luggage shuttles, meals in some locations and friendly knowledgeable support all the way! The cost for this trip is $1120 P/P based on share twin or double accommodation (+$155 P/P for singles). Tekapo to Omarama…. the top end two night stunner – by E-bike! Ideal for those travelling the South Island of NZ with a few days to spare! You’ll ride the first three days of the A2O from the alternate start point at Lake Tekapo taking in views that you have to see yourself to fully appreciate! We’ll arrange to meet you in the beautiful town of Lake Tekapo at 10am in the morning, complete a bike fit up and brief you on your ride. We will relocate your vehicle through to Omarama if required and you’ll begin your ride through to Twizel a distance of 56km. Stay in nice comfortable accommodation in Twizel with breakfast provided. The second day of your adventure will take you 38km alongside canals and the lovely Lake Ohau before arriving at wonderful accommodation with all of your meals provided in house. The final day of 45km takes in an incredible ride through to the high country town of Omarama. You’ll be treated to a dip at the Omarama Hot Tubs before continuing on with your travels. 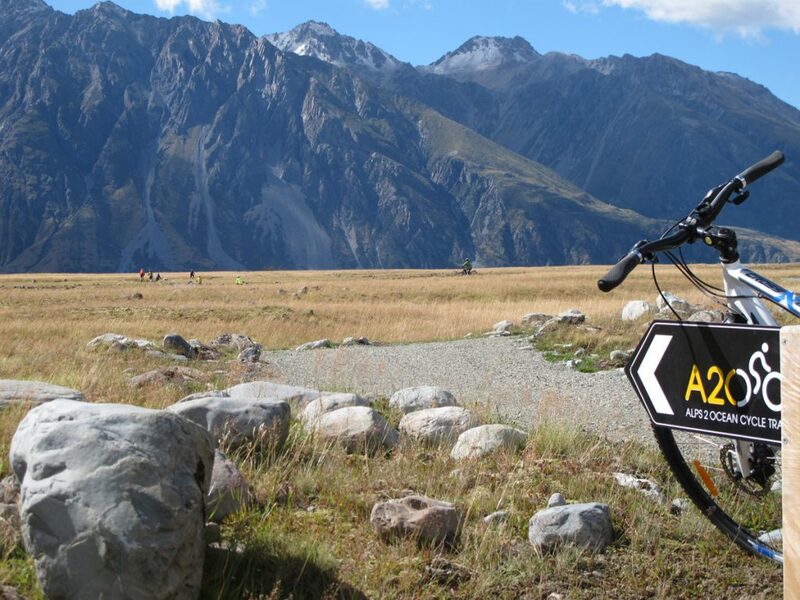 Inclusions: Bike delivery to Lake Tekapo and vehicle relocation if required : Two nights accommodation on trail – meals as listed above : Merida E Bike hire including our standard equipment package : Daily luggage transport : Friendly and knowledgeable support all the way! We’ll pick you up from your accommodation and transport you through to Duntroon’s “Vanished World Centre” where you can take some time to research some of what the area has to offer. A stunning 55km of trail lies ahead to Oamaru and we’ll provide Transport to Duntroon (ex Oamaru), cycle hire, a cut lunch and friendly knowledgeable support! Departing from Oamaru or Omarama you’ll start this tour in Kurow where you can experience the regions wine and food. Once you are on the bike, the trail will take you past the Maori Rock Drawings before reaching Duntroon – the home of the “Vanished World Centre”. 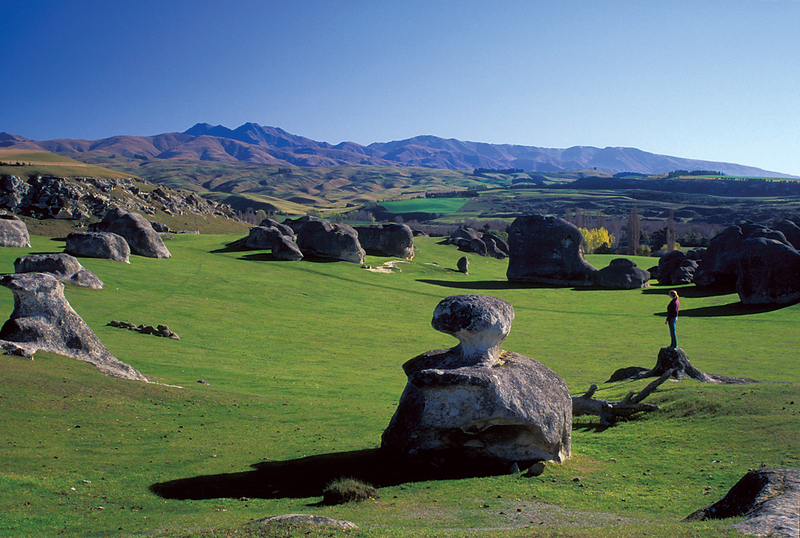 The journey traverses amazing limestone country past “Elephant rocks” and you’ll continue past ancient fossil sites enjoying the beautiful rolling North Otago countryside. Do the trail your way! Enquire about our Custom Bespoke A2O trips. If you have your own requirements in regards to where you stay, for how long, the level of accommodation and other activities which you wish to have organised for you we can assist. We’ll work with you to ensure that all of your needs are covered. A one off booking fee of $225 applies to the preparation of your bespoke itinerary which is payable prior to bookings being confirmed. Trail Adventures offers a variety of services to support you on your tour from before the start to after the finish. Support services vary between different tours but we have endeavoured to make your trail ride as care free as possible. Comfortable accommodation greets you every night and we are in contact with you daily as well as make sure cycle breakdown and rider support is available promptly. If you have any questions in regards to how we can best help you feel free to contact us. To learn more or head over to the A2O itinerary page or our support page for more information. In order for your tour to be as successful as possible we offer multiple complimentary services so you can focus on enjoying yourself. Head over to the support services page to learn more. We have a range of bikes available from Hybrid Touring, to 27.5 MTB’s and of course our awesome Merida E big tour electric bikes. There is also a variety of equipment available including baby/child trailer, child rear mounted seat, childs tagalong bike and more. By pre arrangement we can provide pick up and drop off services to Christchurch, Queenstown, or Dunedin airport for up to eleven passengers. We also offer vehicle management, if you need your car stored or transferred let us know. By pre arrangement we can provide transport of client’s luggage between their accommodation points (minimum bag numbers may apply). When you’re planning your trail we can go over this to ensure your trail is as comfortable as possible.